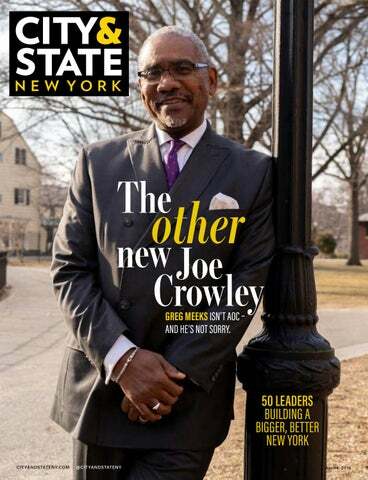 The other new Joe Crowley GREG MEEKS ISN’T AOC – AND HE’S NOT SORRY. Related’s impact on New York City goes well beyond our buildings. Our Hudson Yards development is an economic engine, already contributing more than $10B to the City’s GDP and serving as a significant source of revenue to the MTA—$2.36B during construction and $66M annually. Hudson Yards is on track to contribute nearly $19B annually to New York City’s GDP , and nearly $1B annually in State and City taxes. The companies and buildings at Hudson Yards will also bring more than 57,000 jobs and, over the next six months, upwards of 600 new jobs will be filled by Related to provide essential services at the development, most of whom will be represented by SEIU 32BJ. QUEENS GOT A LOT OF BUZZ A FEW YEARS AGO when Lonely Planet put the borough at the top of its list of the best places to visit. “Queens, New York’s largest borough, is also quickly becoming its hippest, but most travelers haven’t clued in … yet,” the travel guide enthused. “With microbreweries springing up, new boutique hotels, a reinvented seaside at Rockaway, a world-class art scene, and a truly global food culture, 2015 is the year to try Queens.” Four years later, Queens is garnering even more attention – for its politics, not its popular attractions. Since toppling Joe Crowley, Rep. Alexandria Ocasio-Cortez has been at the vanguard of a reinvigorated progressive movement. State Sen. Michael Gianaris and New York City Councilman Jimmy Van Bramer spoke out angrily against Amazon’s planned headquarters in Long Island City, sending the tech giant into an embarrassing retreat. And in recent years, a string of establishment-backed Queens officeholders have been toppled – from Margaret Markey to Elizabeth Crowley to Ari Espinal. And yet, when the time came to find a successor to Crowley as leader of the Queens Democrats, the party opted for moderation and stability. This week, City & State’s Jeff Coltin profiles Rep. Gregory Meeks, the new Queens boss, who will have the tough task of holding together the borough’s political machine. Latest BUDGET BARGAINING State lawmakers were trying finalize deals for other big-ticket items in the budget as well. Lawmakers reached an agreement on a statewide plastic bag ban and an optional paper bag surcharge, pending local approval. The budget also permanently extends the 2 percent property tax cap and restores a provision that requires the state to pull the full amount of Aid and Incentives for Municipalities, removing what local governments said would have been a burden while racking up a big win for counties. WINDFALL FOR THE MTA Although the state budget had not yet been finalized when this magazine went to print, lawmakers appeared to have reached deals on several high-profile issues. Assembly Speaker Carl Heastie said that he has the votes to pass congestion pricing, which means the surcharge to drive into the core of Manhattan appears all but certain to be included in the budget. Additionally, Gov. Andrew Cuomo signaled that he and the Legislature were moving away from an annual pied-a-terre tax in New York City in favor of a one-time real estate transfer tax on sales over $5 million. Revenue from each proposal would go to the MTA. Rep. Jose E. Serrano announced that he will not seek re-election in 2020, citing Parkinson’s disease. Serrano’s decision possibly creates an opportunity for a young progressive to succeed him. Potential candidates have already begun to emerge, including New York City Councilman Ritchie Torres, Assemblyman Michael Blake and state Sen. Gustavo Rivera. City Councilman Rubén Díaz Sr., known for his social conservatism, cowboy hat and controversial statements, is also mulling a run. Back & Forth You’re an entrepreneur and former tech executive vying for the Democratic presidential nomination in 2020 – why do we need that experience in the White House? I think it’s imperative that our federal government has senior leaders that understand technology innately, because at this point, technology has transformed many aspects of our society, and our government is years, maybe even decades behind the curve. A central proposal of your platform is a universal basic income. How would that work? Every American receives $1,000 a month starting at age 18. And the money comes largely from a tax that falls most heavily on the Amazon, Google, Facebook, Ubers of the world. And if you look at headlines, Amazon just paid zero in federal taxes despite reporting record profits last year. “I look up to Council member Robert Cornegy, because of his contributions to our city, and because I don’t really have a choice.” – New York City Mayor BILL DE BLASIO, who is 6-foot-5, on Cornegy, who is 6-foot-10 and just received the Guinness World Records designation of tallest politician in the world, via The New York Times Get the kicker every morning in CITY & STATE’S FIRST READ email. Sign up at cityandstateny.com. Speaking of Amazon, what went wrong with HQ2 here in New York? To me, the fault primarily lies with Amazon. If you come into a community, you expect to have many issues that you have to iron out and work with people. And Amazon clearly had no real desire to work things out that it didn’t immediately find convenient. What tech issues should be handled at the city or state level? Waiting for Washington to get something done might be forever. So to the extent that New York City and New York state can take the lead on some of these issues I think would make a lot of sense. This is the biggest market in the country, so whatever guidelines and rules and regulations are put forward here would have a national impact. AS SOON AS GOV. ANDREW CUOMO said he wanted to allow counties and larger municipalities to opt out of recreational marijuana sales, local lawmakers began weighing the best course of action for their constituents. Some took swift action, like North Hempstead on Long Island, which has already passed legislation officially banning the sale of recreational marijuana. Other localities and counties are taking time to examine the issue before coming to a final decision. Here is where different counties stand on the prospect of opting out. County Legislature Chairwoman Tracey Bartels predicted that Ulster County would not ban recreational marijuana sales. County Executive Cheryl Dinolfo has not yet made a decision about opting out. Rochester Mayor Lovely Warren has said the city would not opt out, but will likely be forced to if the county as a whole decides to ban marijuana sales. County Executive MaryEllen Odell said the county would opt out. County Executive Ed Day said that he opposes sales in the county and will ask the county Legislature to opt out, although it remains unknown where the Democratic Legislature lands on the issue. It appears that Mayor Bill de Blasio has not made any public comments on the matter, and the city is not expected to opt out. County Executive Laura Curran said she opposes sales in Nassau County and a county legislator has introduced legislation to do so. County Executive Steven Bellone has proposed legislation that would allow the county to opt out of sales for at least one year. PECIAL COUNSEL Robert Mueller has finally published his findings after an extensive investigation into Russian interference in the 2016 presidential election. According to a summary sent to Congress by U.S. Attorney General William Barr, the report did not produce evidence of collusion between President Donald Trump’s campaign and Russia, nor did it recommend further indictments beyond the ones that have already been issued against Trump associates like Roger Stone and Paul Manafort. Mueller also chose not to indict Trump on obstruction of justice, but stopped short of exonerating the president. Democrats in Congress have indicated that they will not stop their own hearings and investigations into Trump and his associates while they advocate for Barr to release the Mueller report in full. Whether or not any new investigations or indictments will come in the aftermath of the report, Trump and his associates still have plenty of headaches as independent investigations continue in New York. Gov. Andrew Cuomo said in a recent radio interview that the end of the Mueller probe does not mean the president is “out of woods with legal trouble,” calling federal prosecutors in New York “as serious as a heart attack.” Here are the investigations and lawsuits that they and other agencies have been pursuing. Following an explosive investigation by The New York Times into Trump and his family’s business dealings that included revelations of potential tax fraud and tax evasion, the state Department of Taxation and Finance said it would review the allegations to determine if Trump or members of his family broke any state laws. Trump’s lawyer called all the allegations “100% false and highly defamatory” in a statement. A few days later, New York City officials also announced they would investigate the allegations made in the Times story in cooperation with state efforts. The Wall Street Journal reported in December that federal prosecutors in New York had opened an investigation into Trump’s 2017 inaugural committee in order to determine if it misspent any of the record $107 million it raised. They will also look into whether donors gave money in exchange for access to the administration. Several months later, in February, the U.S. attorney’s office subpoenaed the inaugural committee for records relating to donors, vendors and franchises, as well as documents that may indicate donors received any “benefits” in exchange for their donations. About a month after the attorney general’s office announced its lawsuit, The New York Times reported that the state Department of Taxation and Finance opened an investigation to examine whether the Donald J. Trump Foundation violated state tax law. While it is expected to cover some of the same ground as the lawsuit, this criminal investigation could uncover further information, such as Trump’s tax returns. The agency can refer its findings to law enforcement, such as the attorney general’s office, at the close of the investigation if it reveals criminal activity, or it could present the findings to a grand jury. A day after Cohen’s guilty plea in federal court, the department subpoenaed Cohen for this investigation, requesting documents relating to the Trump Foundation. The night of that plea, Cohen’s lawyer Lanny Davis made appearances on cable news, telling CNN that his client “has information about Mr. Trump that would be of interest both in Washington as well as New York state,” and telling MSNBC off-air that Cohen has information about the Trump Foundation that would be of interest to the New York attorney general. After a two-year investigation, the state attorney general’s office filed a lawsuit against the president’s charitable foundation, the Donald J. Trump Foundation. The office accused the foundation of campaign finance violations, self-dealing and illegal coordination with Trump’s presidential campaign. The investigation began soon after the 2016 presidential election and following an investigation conducted by The Washington Post that uncovered many of the questionable expenditures addressed in the lawsuit. These included using foundation money to pay for legal expenses incurred by Trump’s private businesses, paying for a new fountain outside Trump Tower and purchasing a $10,000 portrait of Trump that used to hang in one of his golf clubs. The lawsuit alleges that the Trump Foundation effectively became an illegal arm of the Trump campaign, with emails showing that then-campaign manager Corey Lewandowski directed the foundation’s spending, even though that is illegal. The attorney general’s office is seeking more than $2.8 million in restitution, stating that is the sum that the foundation raised in illegal in-kind campaign contributions. In addition to that and other potential fines the foundation faces, the attorney’s general office is also looking to dissolve the foundation completely and bar Trump from serving as the director of a nonprofit for 10 years and his children Ivanka, Eric and Donald Jr. from serving on the board of a nonprofit for one year. When the lawsuit was announced, Trump responded to it on Twitter by calling it an attempt by “sleazy New York Democrats” to smear him and adding that he has no plans to settle. After a referral from special counsel Robert Mueller, the FBI executed a search warrant and raided Cohen’s office a year ago. Although Mueller uncovered information that led to the raid, it did not fit into his line of inquiry into Russian meddling in the 2016 presidential election. So he handed it off to the U.S. attorney’s office for the Southern District of New York, which began its own case. (U.S. Attorney Geoffrey Berman, who was appointed by Trump, recused himself. The investigation is being overseen by his subordinates.) In the raid, the FBI searched for documents related to, most notably, the payment Cohen made to Stormy Daniels before the 2016 election. In addition to investigating the payoff to Daniels and whether it violated campaign finance laws, reports emerged that Cohen was under investigation for over $20 million in loans related to his taxi business. Cohen pleaded guilty to eight counts, including tax evasion, bank fraud and campaign finance violations. As part of his plea, Cohen admitted to paying Daniels and one other woman in exchange for their silence regarding alleged affairs with Trump. He implicated the president as well, saying that he arranged those payments at then-candidate Trump’s behest. The plea reignited an ongoing debate about whether or not a sitting president can be indicted, since Trump was directly implicated in a crime. Following Cohen’s plea, Trump said he knew about the payment after the fact, but said that since the money did not come from his campaign account, it was not illegal. This was not true. Immediately after a second federal court handed down its sentencing of former Trump campaign Chairman Paul Manafort, Manhattan District Attorney Cyrus Vance Jr. announced a series of state indictments against Manafort. Vance implied the purpose of the charges was to ensure Manafort serves jail time even if Trump issues a pardon for Manafort’s federal crimes. However, a case before the U.S. Supreme Court involving double jeopardy laws may hinder this and any other state case brought against Trump or his associates if the state-level charges are the same as the federal ones. Prompted by testimony from Cohen about Trump inflating the value of his assets, the state Department of Financial Services issued a subpoena to Aon, the longtime insurance broker for the Donald J. Trump Foundation. While the department can only conduct civil investigations, the agency can refer any criminal evidence to state prosecutors. The subpoena marks the first step in a broader investigation into Trump and his business practices. While testifying before Congress, Michael Cohen said that the U.S. attorney for the Southern District of New York was investigating “illegal actions” taken by Trump as part of a nonpublic inquiry. He could not offer additional details, saying that prosecutors had asked him not to discuss it. Following the completion of the federal investigation, then-state Attorney General Barbara Underwood decided take a crack at Cohen as well. She was looking to begin a criminal tax investigation into Cohen, which would be separate from the federal tax evasion he had already pleaded guilty to, thus avoiding New York’s strict double jeopardy laws. Underwood had been seeking a referral from the state Department of Taxation and Finance, which is necessary before the state attorney general’s office can begin an inquiry. The current status of that potential investigation is unknown. ADVOCACY MESSAGING OPEN-HOUSE PROMOTIONS NEW HIRE ANNOUNCEMENTS Contact us at advertising@cityandstateny.com for advertising and sponsorship opportunities. compared to an average of 6.5 percent nationally. In addition, about one in five households has no credit, making it difficult or impossible to obtain a credit card. New York City’s communities of color are far less likely to host a branch of a bank, yet another roadblock for consumers in a cashless society. Legislative action is one way to protect consumers from discriminatory cashless business practices. In March, both Philadelphia and New Jersey banned all cashless business at stores and restaurants. Massachusetts has required retail businesses to accept cash since 1978, and the Washington DC city council is considering a bill to ban cash-free restaurants. In New York City, the RWDSU supports Initiative 1281-2018 Prohibiting Retail Establishments from Refusing to Accept Payment in Cash. Protecting consumers and opposing discrimination helps all working people. ARLY IN THE MORNING on Monday, March 11, dozens of Democratic district leaders shuffled upstairs to the county clubhouse, perched above a shuttered C-Town grocery store in Forest Hills. Before the workday started, they rubber-stamped the predetermined outcome: Rep. Gregory Meeks would be the new Queens County Democratic Party chairman. The Queens Democrats are an insular group, often criticized for acting like an exclusive fraternity – you’ve got to know someone to get in. There wasn’t any sort of a public process to elect Meeks, and the meeting wasn’t publicly announced. The roughly 72 district leaders didn’t sit through any debates among the contenders – in fact, there weren’t any other contenders, since nobody but Meeks admitted to having an interest in the job. For the rest of the 800,000 registered Democrats in Queens, here’s the process of picking a new county boss: 1) Former Rep. Joseph Crowley resigns as county chairman to focus on his new lobbying job with the Washington, D.C.-based Squire Patton Boggs. 2) A few outlets report that Meeks is the leading contender to replace him. 3) Word spreads that Meeks will be elected. 4) Meeks is elected. The Queens Machine works. Meeks does represent change for the county party, but only in certain ways. He’s the first black man to lead the Queens Democrats, and he’s the first boss from the traditionally black, middle-class neighborhoods of Southeast Queens. But the breakthrough is not enough to quiet critics of the county party. Meeks is the establishment, a party line insider who has been in office with county support for more than 25 years. He’s a capitalism-embracing moderate, and he has fended off numerous allegations of corruption over his years in office. If the county party wanted to signal political change, he would be an odd choice. Yet change is already coming for the Queens Democratic Party. The borough, or at least its western reaches, is the physical epicenter of the capitalism-skeptic wing of the Democratic Party. It’s where Rep. Alexandria Ocasio-Cortez upset Crowley last summer. It’s where committed activists, fearing gentrification and furious over secretly negotiated subsidies for a hugely profitable corporation, defeated Amazon’s HQ2 plans. And it’s where the seven Democrats running for Queens district attorney are arguing over who can jail the fewest people. borough, is not invited – though he gets along well with Meeks.) Such geographic cohesion is relatively rare in politics, where the brassy horns of competitive elections can often drown out the soft strings of cooperation. “My colleagues are like, ‘You guys do that? You guys talk to each other?’” said New York City Councilman I. Daneek Miller, a frequent attendee. Soon after meeting Meeks, you get the impression that the answer to that question is no – the congressman does all the talking. Meeks, 65, is a gregarious, backslapping politician who talks as loudly as he dresses – often in double-breasted suits with busy shirts and bold ties. That recipe has made him a favorite on cable news, where he has been appearing frequently in recent months. While he’s dynamic on screen, he’s even more animated to an audience of one. A week after he was elected county chairman, we met at his district office in Jamaica, Queens, and talked about his plans for the new job. T’S AN OPEN SECRET that Meeks has inherited a weakened county party. A county endorsement means less than it once did, as a shrinking number of party regulars lend their hands petitioning and canvassing. It’s a party that couldn’t even get its own boss, Crowley, re-elected. Same as the old boss Rep. Greg Meeks has succeeded former Rep. Joe Crowley as the leader of the Queens County Democratic Party. Both men represented Queens in Congress for years, but that’s not all that they have in common. Here’s a look at some of the more notable similarities between them, as well as the differences. Ocasio-Cortez and, along with progressive stalwarts the Working Families Party, have endorsed Tiffany Cabán, the leftist, queer, Latina public defender in the June primary for Queens district attorney. Meeks and the Queens Democratic Party, by contrast, endorsed a more mainstream Democrat: Queens Borough President Melinda Katz. D After Rep. Joe Crowley’s shocking defeat, Meeks knows he’ll need to institute reforms – and admits he may be painting a target on his back. TWENTY-FIVE BILLION DOLLARS. A skyscraper with the highest outdoor observation deck in the Western Hemisphere. Hudson Yards – described as “a city within a city” – is the largest private real estate development in U.S. history, praised by some as the city’s latest architectural attraction and economic boon, and criticized by others “a dystopian playground” for the wealthy. A labor fight over the project became one of New York’s bitterest real estate disputes, with the Building and Construction Trades Council of Greater New York assailing the Related Cos.’ use of nonunion labor – but shortly before its unveiling on March 15, the two sides reached a truce. In our inaugural Real Estate Power 50, we recognize Related’s Stephen Ross and Jeff Blau, labor union boss Gary LaBarbera, and 47 other leaders reshaping New York, plus 10 up-and-coming industry professionals. We reached out to insiders and experts to compile this list, ranking each person based on their achievements and their political clout. Since we cover elected officials on a dayto-day basis, we limited this list to those who influence policymaking from the outside. Without further ado, we’re pleased to introduce the 50 most powerful people in New York real estate. Hudson Yards, a project so massive that New York City stretched the No. 7 train all the way to the Hudson River for it – no small feat in a city where subway expansions can take decades. Hudson Yards – the magnum opus of 78-year-old billionaire Stephen Ross – is the largest private development in U.S. history: a $25 billion, 28-acre mixed-use ecosystem whose tallest tower will reach 1,100 feet. Ross even stepped down as CEO to focus on its completion, handing the reins to heir apparent Jeff Blau, who has worked at the company since Ross recruited him out of college. Ross wanted to build a centerpiece that would make Hudson Yards the city’s main attraction, and Blau helped carry out plans for the Vessel, the hive-like structure which he says, “is going to be to New York City what the Eiffel Tower is to Paris.” The duo’s influence is demonstrated by their ability to tangle with one of the city’s largest unions – and win – even when it also pits them against Gov. Andrew Cuomo. largest amount of private property in New York City – nearly 30 million square feet – but the company is staying relevant by courting big tech players like Facebook. Some speculate that the Farley Post Office project next to Penn Station could bring in more tech companies to the table, but Steven Roth says he is keeping his options open. Although he’s a major donor to Gov. Andrew Cuomo, Roth has had an up-and-down relationship with the governor. Roth waffled on Cuomo’s push for the Gateway rail tunnel, and the governor temporarily dropped Vornado from the Farley Post Office project. Roth, who founded Vornado in 1980, has played a significant role in shaping the city’s landscape – including installing an eight-story LED screen in Times Square in 2014. The developer enjoys a long-standing business partnership with President Donald Trump, co-owning with the president a skyscraper described as Trump’s most valuable New York City building: 1290 Sixth Ave.
That’s right. Whether it is the Housing Stability Program or the Tenant Rent Increase Exemption Program, Albany knows the right way to cure affordability is to provide rent assistance to those most in need. Tell the New York State Senate and Assembly to stop playing politics with rent regulation and enact an affordability solution that is cost effective and more beneficial to low-income tenants. Kasirer congratulates all of this year’s wonderful Real Estate Power 50 recipients! Suri, a special congratulations from your very proud team! Kasirer is the #1 lobbying and government relations firm in New York. We advocate on behalf of a wide range of clients who seek local expertise in navigating the City. We advance our clients’ goals—building coalitions and consensus and influencing decision-makers in the dynamic political landscape that defines New York. And our team of professionals, whose careers intersect at politics, policy and government, achieve victory on behalf of our clients with an unwavering commitment to the highest standard of ethics in the industry. DOUGLAS DURST CHAIRMAN THE DURST ORGANIZATION DOUGLAS DURST helped oversee the development of One World Trade Center, the crown jewel of the family-owned real estate company’s portfolio. The Durst Organization’s 13 million square feet of office space across the city include the Bank of America Tower at One Bryant Park. A board member at the Real Estate Board of New York, The New School and the Trust for Public Land, Durst says urban density helps preserve the environment – and he built 4 Times Square, billed as the nation’s first sustainable skyscraper. The Durst Organization is not shy about getting involved in elections, last year donating (through several LLCs) $150,000 to Rep. Sean Patrick Maloney’s campaign for state attorney general and $10,000 to Letitia James’ campaign. The company was the largest donor to Gov. Andrew Cuomo’s 2018 re-election campaign, contributing $75,000. Douglas Durst – whose father put up the National Debt Clock in Times Square in 1989 – has criticized President Donald Trump for driving up the country’s debt. elliman.com NEW YORK CITY | LONG ISLAND | THE HAMPTONS | WESTCHESTER | CONNECTICUT | NEW JERSEY | FLORIDA | CALIFORNIA | COLORADO | MASSACHUSETTS | INTERNATIONAL 575 MADISON AVENUE, NY, NY 10022. 212.891.7000 © 2019 DOUGLAS ELLIMAN REAL ESTATE. EQUAL HOUSING OPPORTUNITY. Greenberg Traurig is proud to see our friend and partner, Ed Wallace, recognized for his vital service to our clients and the New York real estate community at large. With over 80 New York lawyers, and over 400 lawyers globally, in our transactional real estate, land use, government, environmental and tax departments dedicated to serving the real estate industry, Greenberg Traurig has helped to bring many of the City’s marquis projects to fruition. JOHN BANKS PRESIDENT REAL ESTATE BOARD OF NEW YORK JOHN BANKS faces an uphill battle as Real Estate Board of New York president in 2019 thanks to an empowered Democratic state Legislature poised to pass major rent reforms. In Albany, lawmakers have moved to close the LLC loophole, and will likely tackle preferential rent and the vacancy decontrol threshold – and maybe even pass universal rent control. It’s not any better in New York City for the state’s pre-eminent real estate trade group, with the City Council targeting commercial landlords, broker fees and security deposits, while changing trash pickup zones. Banks is warning New York City officials to tighten their belts, telling Real Estate Weekly that “good economic times can’t last forever, and another period of downturn will inevitably come.” Yet Banks, the first black president of the 120-year-old real estate board, has the benefit of experience as he navigates these challenges. He started out in then-Mayor Ed Koch’s administration, worked for the New York City Council, and later was in government relations at Con Edison. SCOTT RECHLER CHAIRMAN AND CEO RXR REALTY AN OUTSPOKEN business leader, Scott Rechler uses his bully pulpit as head of a firm that manages over 20 million square feet of commercial real estate space in the New York City metro area to promote issues like get-out-the-vote efforts, fixing the subways and reducing gun violence. He was effective in pushing for better transit and infrastructure as an appointee of Gov. Andrew Cuomo on important governmental bodies: As a member of the Metropolitan Transportation Authority board, Rechler led efforts to streamline the unwieldy procurement process; and as a board member of the Port Authority of New York and New Jersey, he helped oversee the World Trade Center redevelopment. Rechler, who chairs the Regional Plan Association, even lobbied President Donald Trump for local infrastructure, such as the Gateway rail tunnel project. On Long Island, where Rechler is based, RXR Realty is building the Nassau Hub, the mixed-use project surrounding the refurbished Nassau Coliseum. Top banner and side bar with premium options are available. 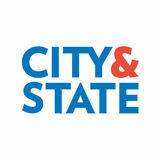 Contact advertising@cityandstateny.com or 646 517 2741 for more details. CBRE congratulates Mary Ann Tighe, CEO, New York Tri-State Region for her recognition in City & Stateâ&#x20AC;&#x2122;s Real Estate Power 50 list. We applaud Mary Ann for her ongoing contributions as leader of the top real estate services and investment organization in New York City. PRESIDENT AND CEO TISHMAN SPEYER A FORMER Real Estate Board of New York chairman, Rob Speyer heads up his family’s 16 million-square-foot commercial real estate empire in Manhattan, Brooklyn and Queens. Tishman Speyer donated $25,000 to Gov. Andrew Cuomo’s re-election campaign last year – and although his firm will no longer welcome Amazon as a neighbor, it remains busy with Long Island City, Queens, tenants Macy’s, Bloomingdale’s and WeWork. Speyer also chairs the advisory board to the Mayor’s Fund to Advance New York City. CO-CHAIRMAN AND CEO RUDIN MANAGEMENT CO.
CHAIRMAN AND CEO SL GREEN REALTY CORP.
heads a firm founded by his grandfather in 1925 – has a long history of advising city and state government. He was the longtime chairman of the Association for a Better New York, and now as chairman of the Real Estate Board of New York, he has prioritized affordable housing, tax reform and diversifying the city’s economy. In 2017, Gov. Andrew Cuomo appointed him to the Fix NYC advisory panel on mass transit. took over as CEO of SL Green in 2004 and replaced the company’s founder Stephen L. Green as chairman earlier this year. In that time, Holliday has positioned the firm as the city’s largest office property owner while reshaping midtown Manhattan with One Vanderbilt, a 1,401foot tower that paved the way for the East Midtown rezoning. Holliday is also one of the highest-compensated real estate executives in New York City. over-the-top New York union leader, Gary LaBarbera is boisterous and outspoken. He doesn’t shy away from fights with powerful people – as evidenced by his feud with Related Cos. over its use of nonunion labor at Hudson Yards. Shortly before Hudson Yards opened, the two sides reached a truce that could benefit them both – and now LaBarbera will look ahead to the next battle on behalf of the 100,000 workers he represents. CEO TWO TREES MANAGEMENT CO.
oper behind some of the tallest buildings in New York City, including the 1,550foot Central Park Tower and One57, which is over 1,000 feet tall. Credit for the skyscrapers goes to company founder Gary Barnett, whose love for vertical spectacle – and tactics to build them ever higher – has drawn scrutiny. Barnett, a major donor to Gov. Andrew Cuomo, just hired Sush Torgalkar as president and CEO. left his mark on the Brooklyn waterfront when he bought the abandoned Domino Sugar refinery and transformed it into a mixed-use housing and commercial complex. Walentas came up in real estate at the Trump Organization in the 1990s before joining Two Trees Management Co., which was founded by his father, David Walentas. He has backed Mayor Bill de Blasio’s initiatives and is a prominent supporter of the proposed Brooklyn-Queens Connector streetcar. been associated with the World Trade Center site since the 1980s, when he built 7 World Trade Center and leased the space to Salomon Brothers. The developer, who famously signed a 99year ground lease for the site weeks before the towers fell in 2001, has been instrumental in rebuilding the area. Last year, he opened the long-delayed 3 World Trade Center – and is expected to begin construction on the site’s final tower. New York team had a really big year in 2017,” Chairman Ric Clark told the Commercial Observer, which ranked him No. 1 on its own Power 100 list last year. The real estate powerhouse boasts some $87 billion in assets. Clark, who has been with Brookfield since 1984, sits on the executive committee at the Real Estate Board of New York. CEO Brian Kingston previously led Brookfield’s Australian business activities. founder of the world’s largest private equity firm and, by some estimates, the world’s largest landlord, reportedly took home an eye-popping $786 million last year. Blackstone manages $472 billion in assets, including about $120 billion in real estate assets. Schwarzman delegates day-to-day management to top deputies like Jonathan Gray, who negotiated the $5.4 billion purchase of Stuyvesant Town-Peter Cooper Village. the first female chair of the Real Estate Board of New York, has been renowned as a dealmaker since she brought Conde Nast to Times Square in 1996. Currently overseeing 2,500 employees at the global firm, Tighe actively brokers commercial leases across New York City. Last year, she helped CBRE compete with WeWork by launching Hana, CBRE's coworking brand. She was recently recognized in the Crain’s New York Business Hall of Fame. has a long history as a major developer of office towers in New York City, and in recent years it has returned to its roots by pursuing residential projects as well. In 2000, Winston Fisher, a former analyst at JPMorgan Chase & Co., joined the family-run firm, which was among the biggest LLC donors to Gov. Andrew Cuomo’s re-election campaign, contributing $130,000. Fisher also co-chairs Cuomo’s New York City Regional Economic Development Council. one of the largest affordable housing development companies in New York City. He has strong ties to outgoing New York City Deputy Mayor Alicia Glen, who spearheaded the de Blasio administration’s efforts to create a record amount of affordable housing. The well-connected developer founded the Moelis Institute for Affordable Housing Policy and the influential New York State Association for Affordable Housing. real estate industry is still adapting to WeWork, whose coworking model has rapidly altered the landscape. The company just became New York City’s largest office tenant, leasing 5.3 million square feet in Manhattan. Adam Neumann rebranded WeWork, which was founded in 2010, to The We Company and announced a set of new initiatives, including an elementary school called WeGrow and short-term residential rentals under its WeLive brand. Ori Allon launched Compass Real Estate in 2012 in New York to disrupt the real estate industry with a tech-driven strategy aimed at providing better information to brokers and buyers. The upstart company has drawn attention for its aggressive efforts, and has expanded into other major cities. The brokerage closed $35 billion in sales last year – but they are planning to curtail expansion this year, focusing instead on its existing markets. is behind some high-profile New York City developments, including Essex Crossing, where more than half of the 1,000 apartments will be affordable. The company will be building a 21-story Queens residential tower in partnership with a nonprofit that houses domestic violence survivors. Donald Capoccia, among the city’s first developers to mix low- and middle-income apartments with market-rate housing, is a founding member of the New York State Association for Affordable Housing. a big one for Barry Gosin. The real estate executive celebrated 40 years in the industry while the Newmark Group closed on its purchase of RKF Retail Holdings LLC. The acquisition was just the latest major move by the company, which went public in 2017. Gosin has connections in the political sphere too: He has been a major donor to Gov. Andrew Cuomo, contributing $50,000 ahead of a 2015 housing law renewal. isn’t afraid to take on the powerful – and his push for tenant protections may finally find success in Albany, given Democratic control of both houses of the state Legislature. Yet he has expressed mistrust in Gov. Andrew Cuomo, warning that he “might try to water down tenant protections.” In the rent regulation fight, McKee will also face off against the Rent Stabilization Association, a foe that filed a $40 million defamation suit against him last year. owners Fried Wilpon and Saul Katz may be struggling to hire free agents while contending with ballooning contracts, but the duo hit a home run with Sterling Equities’ deal with New York City to revamp Willets Point, a joint venture with Related Cos. that has been on hold for over a decade. Current plans for the site include affordable housing and a soccer stadium in the area near Citi Field. HEADED BY Carlo Scissura since January 2017, the trade group comprised of more than 550 organizations spent $50,000 lobbying New York City government last year. On its current agenda: approving congestion pricing, funding clean energy, making NYCHA repairs and creating more affordable housing. The organization recently reported that the city is experiencing a construction boom and construction spending hit an all-time high of $61.8 billion. a master at multitasking. He chairs GFP Real Estate, formerly Newmark Holdings and Newmark Knight Frank, which has lucrative stakes in dozens of New York City properties. He serves on a long list of boards, including the Real Estate Board of New York board of governors. He pressured the state to reopen bidding on a coveted casino license, which he won. He owns horse racetracks in New Jersey and New York – and even breeds horses. among New York real estate power brokers, Hu Gang recently increased the company’s stake in the Pacific Park megaproject – formerly Atlantic Yards – from 70 percent to 95 percent. The 22-acre development, which may not be completed until 2035, is one of the largest ongoing projects in New York City. The China-based Greenland USA is also expanding in Los Angeles at a time when many Chinese investors are leaving the U.S. real estate market. PRESIDENT AND CEO BUILDING TRADES EMPLOYERS’ ASSOCIATION OF NEW YORK CITY AGREE WITH him or not, Louis Coletti is unafraid to speak his mind. The longtime leader of the Building Trades Employers’ Association, the country’s largest contractor organization, advocates for his members on hot-button issues like union vs. nonunion labor. He acknowledges contractors are increasingly shifting away from unions, while also defending unions for benefiting both white and minority workers. DAVID VON Spreckelsen is no stranger to New York City’s corridors of power. He was an early fundraiser for Bill de Blasio, a relationship struck up when the then-city councilman helped push for a Toll Brothers development in Gowanus – although the plan was ultimately scuttled. Toll Brothers also donated $50,000 to de Blasio’s now-defunct Campaign for One New York fund. The company has more than half a dozen ongoing projects across the city. Aby Rosen co-founded RFR in the 1990s and led development of a portfolio that includes the Seagram Building and Lever House. Rosen is also a noted art collector, with works by Jean-Michel Basquiat, Damien Hirst and Jeff Koons in his portfolio. Rosen has been a major donor to Andrew Cuomo since 2002. Several months into his first term as governor, Cuomo appointed Rosen as chairman of the state Council on the Arts. venerable General Contractors Association of New York, Denise Richardson is outspoken in advocating on behalf of the heavy civil construction industry. Last year, she penned an op-ed expressing reservations around design-build as a way to cut costs. The trade group also released a report in January that blamed slow construction on the state’s controversial Scaffold Law. who donated $10,000 to the mayor’s now-defunct Campaign for One New York, David Kramer is known in political circles for winning a contract for a contentious 36-story luxury tower in Brooklyn Heights. Since then, Kramer has led Hudson’s expansion from residential real estate to commercial properties, including a set of Bushwick warehouses now in the last phase of construction, which the company purchased for $27.8 million in 2016.
be best known for his waterfront projects in Coney Island, but Thor Equities Group is also keeping busy with out-of-state acquisitions. The company closed on a $16 million property in Austin, Texas, in February, hinting that Sitt wanted to tap into the city’s booming tech scene. Sitt is also the founder of the infrastructure advocacy group Global Gateway Alliance, which has drawn attention to the need for airport improvements in the New York City metro area. and Michael Lichtenstein have made their mark in Brooklyn with high-profile properties like the Williamsburg Hotel. In July, the company bought two lots in Greenwood Heights for nearly $20 million. In November it announced a $100 million fund geared toward taking advantage of socalled opportunity zones, which aim to revitalize low-income areas. in $12.8 million in 2018, more money than any other lobbying firm in New York City. “We’re in the business of strategic plans” is how Suri Kasirer recently described her work. A de Blasio donor who has known the mayor for decades, Kasirer has handled many New York City megaprojects. The firm’s work has included Greenpoint Landing, help with rezonings for large firms like SL Green Realty Corp. and permits for coworking startup WeWork. whose firm consistently ranks among the top lobbyists in New York City and Albany, handles plenty of real estate business before the city. The firm, which is known for its expertise in land use and zoning matters, has worked on a number of high-profile projects, including Hudson Yards and Chelsea Market. James Capalino, who helped transform the High Line into a public park, built his government credentials working in then-Mayor Ed Koch’s administration. Lorber became the chairman of Douglas Elliman, a vast real estate brokerage firm whose presence stretches far beyond New York. Lorber’s political ties also extend beyond New York, having served as an adviser to Donald Trump during his presidential campaign and planned to host a fundraiser for Trump’s re-election. Lorber was appointed by the president to head the U.S. Holocaust Memorial Council. Lorber reportedly earned a total of $10.6 million in 2017.
landlords of the approximately 1 million rent-stabilized apartments in New York City and lobbies City Hall and Albany on their behalf. He keeps the trade group in the news, whether he’s suing a tenant leader for defamation or criticizing affordable housing developers for joining forces with housing activists. With a Democratic state Legislature poised to strengthen rent regulations this year, Strasburg has his work cut out for him. president of Kushner Cos. is expanding the firm’s hotel portfolio. Though its footprint in New York City is relatively small – it has a stake in more than 60 buildings, but in most cases has a minority stake – the family-owned company undoubtedly benefits from its affiliation with Trump son-inlaw Jared Kushner. The firm also reached a deal last year to lease 666 Fifth Ave., which had become a political and financial liability. has served on several committees within the Real Estate Board of New York and as an appointee to the state Board of Real Estate – but the real estate agency she co-founded in 1984 is making waves as well. With more than 1,300 agents, Halstead has grown to more than 30 offices, thanks in part to Ramirez’s vision and leadership. She received a Lifetime Leadership Award from the Real Estate Board of New York this year. leads the second-biggest real estate brokerage firm in New York City. “As the world has gotten smaller, we want to get bigger,” is how she described The Corcoran Group to The Real Deal. She has been with the colossal firm her entire career, having started at Corcoran as a 22-year-old recent college graduate and rising through the ranks to run the show at the Realogy-owned firm. She was named to Crain’s Most Powerful Women list in 2017. As committed as we are to being the best in construction, we are just as committed to the people in the communities where we live, work and play. Corcoran Sunshine Marketing Group goes back a long way. Mack leads the brokerage firm’s new development division as it represents high-profile developments in New York City, including Hudson Yards. With 34 projects lined up at Corcoran Sunshine, it promises to be a big year for the NYU and Georgetown University alumna, who began her career in ad sales and marketing for the Cartoon Network. former president and CEO of Forest City Ratner Cos., made waves last year when she left the firm to help found the real estate development company L&L Mag. Gilmartin, who begins work this year on a 460-unit building in Chelsea, has played a role in the development of the Barclays Center, The New York Times Building and the Tata Innovation Center at Cornell Tech. She is on the Real Estate Board of New York executive committee. City Council taking aim at the real estate industry and a new Democratic majority in Albany eyeing rent reforms, landlords are under pressure. So Jay Martin’s Community Housing Improvement Program is proposing self-regulation among its members – which own more than 400,000 rental units in New York City – in an effort to improve housing across the five boroughs and show that the city’s landlords can be part of the solution. Amazon could have taken with its HQ2 project in Queens? Hiring Greenberg Traurig before – instead of after – its disastrous rollout, as the firm is known for ironing out issues on land use proposals before they face public scrutiny. Edward Wallace, a former New York City Council member and Legal Aid Society lawyer, knows his way around the city and has worked for powerhouses like Extell Development Co. and Columbia University. MEMBER COZEN O’CONNOR FORMER New York City Councilman Kenneth Fisher may have left public service, but he remains in the public sphere opining about politics and policy. A former chairman of the New York City Bar Association Land Use Planning and Zoning Committee, the Cozen O’Connor attorney has a reputation as one of the city’s go-to lawyers for zoning and land use matters. In a city where the rules are notoriously complex, that’s a skill that’s always in demand. whose father was once New York’s biggest landlord, cochairs the $12 billion Solil Management portfolio and owns the company with her siblings. The country’s only female real estate billionaire, Goldman helps manage Solil’s 400 buildings in New York City, including high-end apartments on the Upper East Side and the Peninsula Hotel. She and her siblings oversee their family’s philanthropic trust, which gives money to higher education, cancer research and conservation. aside as commissioner of the New York City Department of Housing Preservation and Development in 2017, but as one of the masterminds behind Mayor Bill de Blasio’s mandatory inclusionary housing plan, she left a lasting mark on city planning. Been is now the head of the city’s leading research center on housing policy, and last year, she was named co-chairwoman of the city’s Advisory Commission on Property Tax Reform. behind-thescenes negotiator, Héctor Figueroa heads one of the most powerful unions in New York City. Figueroa quietly struck a deal in 2017 giving union members prevailing wage jobs in affordable housing projects, and 32BJ SEIU showed up to support rezonings around the city. Figueroa was a key labor supporter of Amazon’s HQ2 plan, which would have benefited his workers. Republican nominee for governor of New York and an outspoken ally of President Donald Trump, Carl Paladino is more known for controversy than real estate. But Ellicott Development Co., which he founded in 1972, made him one of the most prominent developers in Western New York, and he continues to be ubiquitous in Buffalo. Start hiring now on New York’s highest-quality job site! City & State Jobs helps hundreds of job seekers and employers find the right fit every day. THESE 10 PEOPLE IN THE REAL ESTATE INDUSTRY HAVE BEGUN TO MAKE THEIR MARK IN NEW YORK – AND EACH OF THEM IS WORTH WATCHING IN THE YEARS AHEAD. Ben Bernstein co-founded RedSky Capital fresh out of Cornell University, along with classmate Ben Stokes, and the company now claims to own a Brooklyn portfolio worth more than $1 billion – which would make it one of the larger landowners in the borough. “A name that is becoming increasingly familiar to the New York City real estate community,” according to Cornell Real Estate Review, Bernstein is credited with helping bring the first Apple store to Brooklyn. Republican businessman John Catsimatidis is known for his supermarket business, but his real estate empire is even larger – and his son, John Catsimatidis Jr., has been helping expand that part of the family business. Among the recent developments are a series of projects in Brooklyn, including the Giovanni, named after John Jr. And while the elder Catsimatidis mulls another run for mayor, the son is following in his father’s footsteps as a Donald Trump donor. Since 2014, Helena Rose Durst has been busy developing Hallets Point on the East River into a mixed-use waterfront community that will include 2,160 apartments and a 25,000-square-foot grocery store. The development’s first residential tower began leasing earlier this year. Durst received a humanitarian award at this year’s Real Estate Board of New York banquet for her commitment to composting and waste management in her company’s buildings. Jeff Fronek helped negotiate a rezoning on the 500,000-square-foot project at 25 Kent Avenue in Williamsburg, Brooklyn – trading commercial space for new manufacturing to bring about the neighborhood’s first new office building in 50 years. Fronek, who called the development “a new model for how manufacturing space can be created and preserved in New York City,” comes from a finance background, with previous stops at Ernst & Young and Merrill Lynch. Last month, the private equity firm Madison Realty Capital closed $30.5 million of financing for the Gem Hotel in Manhattan’s Chelsea neighborhood and last year on a $90 million Billionaire’s Row condo project. Zach Kadden, who joined the firm as an assistant project manager in 2014, leads many of its commercial projects and boasts experience in construction, land use and policy. This year, he was promoted to vice president of development, a sign of bigger things to come. When Paul Massey III was in college, his father, Paul Massey Jr., discouraged him from working at Massey Knakal Realty Services, the family’s real estate brokerage, which was sold to Cushman & Wakefield several years ago for $100 million. So the younger Massey, who goes by PJ, forged his own path after graduating from St. Lawrence University – first at Avison Young in Toronto and now at Brookfield Property Partners in New York City. Last year, Hillary Muss garnered attention from real estate media for completing transactions at Cushman & Wakefield totaling $185 million in rental value – including sourcing the inaugural New York store for a major footwear brand. A recipient of Connect New York’s Next Generation honor recognizing young real estate leaders in 2018, Muss is credited with having “a ‘sense’ of where a deal can be struck.” Soon after, she joined real estate investment trust Macerich. Paul Reisner co-founded Scope Realty less than two years ago, and the fast-growing brokerage has already earned praise as a company that empowers its agents. With offices in midtown Manhattan and Sunnyside, Queens, Scope Realty prides itself on providing extra training for its employees, which includes more than 200 agents. It donates a percentage of its profits to the ASPCA, St. Jude’s Children’s Research Hospital and Covenant House New York. Stefan Soloviev is taking over the family company from his 90-year-old father, Sheldon Solow, beginning with 685 First Ave., a 42-story luxury tower. Soloviev, who uses an older version of the family name, started out parking cars for the company and later managed the family’s farms in New Mexico and Colorado. In February, the father and son filed permits to raze several buildings on Billionaire’s Row, and a 52-story hotel is in the works. David Gallo is building affordable housing in a challenging market: wealthy suburbs. Last year, his Long Island firm broke ground on 38 affordable housing units in the Hamptons. The Speonk Common development in Southampton overcame community opposition and won praise from elected officials. Georgica Green is also building 120,000 square feet of supportive housing for homeless veterans on Coney Island. BARUCH COLLEGE • APRIL 24, 2019 City & State’s Healthy New York Summit will inform health care decision makers and policy experts on the most critical issues and priorities in New York health care. The full-day event brings insights and perspectives from all sectors of New York’s health care decision-making together to identify challenges and discuss solutions to improve our system. Join us for an extensive overview of New York’s 2019 health policy agenda and better understanding on the health care issues. legalnotices@cityandstateny.com 113 Mulberry Restaurant, LLC, Arts. of Org. filed with SSNY 1/14/2019. Office loc: NY County. SSNY has been designated as agent upon whom process against LLC may be served. SSNY shall mail process to: The LLC, Attn: Koorosh Bakhtiar, 161 Mulberry Street, New York, NY 10013. Purpose: Any Lawful Purpose. PNK LUSH, LLC, Arts. of Org. filed with SSNY 01/02/2019. Office loc: NY County. SSNY has been designated as agent upon whom process against LLC may be served. SSNY shall mail process to: PNK LUSH, LLC, Attn: Alexandra Vassall-Beckford, 31 Oxford Place, apt. 1, Staten Island, NY 10301. Purpose: Any Lawful Purpose. 940 Dumont Ave, LLC, Arts. of Org. filed with SSNY 02/01/2018. Office loc: Kings County. SSNY has been designated as agent upon whom process against LLC may be served. SSNY shall mail process to: 940 Dumont Ave, LLC C/O Rosa, 153 Cooper Street MB#1, Brooklyn, NY 11207. Purpose: Any Lawful Purpose. Notice of Qualification of PEGASUS FUND, LLC Appl. for Auth. filed with Secy. of State of NY (SSNY) on 02/06/19. Office location: NY County. LLC formed in Delaware (DE) on 12/12/17. NYS fictitious name: PEGASUS LITIGATION CAPITAL FUND, LLC. SSNY designated as agent of LLC upon whom process against it may be served. SSNY shall mail process to c/o Cullen and Dykman LLP, Attn: Andrew Nitkewicz, Esq., 100 Quentin Roosevelt Blvd., Garden City, NY 11530. DE addr. of LLC: 251 Little Falls Dr., Wilmington, DE 19808. Cert. of Form. filed with DE Secy. of State, Townsend Bldg., 401 Federal St., #4, Dover, DE 19901. Purpose: Any lawful activity. ADLER PARTNERS, LLC, Arts. of Org. filed with the SSNY on 01/25/2019. Office loc: NY County. SSNY has been designated as agent upon whom process against the LLC may be served. SSNY shall mail process to: The LLC, 77 Park Avenue, #2D, NY, NY 10016. Purpose: Any Lawful Purpose. Notice of Formation of 5th Avenue Salon LLC. Arts. of Org. filed with NY Dept. of State on 12/7/18. Office location: NY County. Sec. of State designated agent of LLC upon whom process against it may be served and shall mail process to: Cogency Global Inc., 10 E. 40th St., 10th Fl., NY, NY 10016. Purpose: all lawful purposes. BALAYIRA LLC, Arts. of Org. filed with SSNY 3/21/2018. Office loc: NY County. SSNY has been designated as agent upon whom process against LLC may be served. SSNY shall mail process to: The LLC, Attn: Mamadou Balayira, 298 W. 147th Street, New York, NY 10039 Purpose: Any Lawful Purpose. Notice of Formation of HIDDEN GROVE DEVELOPER, LLC Arts. of Org. filed with Secy. of State of NY (SSNY) on 02/22/19. Office location: NY County. Princ. office of LLC: 60 Columbus Circle, NY, NY 10023. SSNY designated as agent of LLC upon whom process against it may be served. SSNY shall mail process to Corporation Service Co., 80 State St., Albany, NY 12207-2543. Purpose: Any lawful activity. Notice of Formation of Open6 LLC. Arts. of Org. filed with NY Dept. of State on 2/25/19. Office location: NY County. Sec. of State designated agent of LLC upon whom process against it may be served and shall mail process to: 420 E. 72nd St., Apt. 18A, NY, NY 10021, principal business address. Purpose: all lawful purposes. LISA & EVELYN CO., L.L.C. Arts. of Org. filed with the SSNY on 12/14/18. Office: New York County. SSNY designated as agent of the LLC upon whom process against it may be served. SSNY shall mail copy of process to the LLC, c/o Solomon Zabrowsky, Esq., 250 West 57th Street, Suite 1301, New York, NY 10107. Purpose: Any lawful purpose. Notice of Qualification of Adaptive Payroll, LLC. Authority filed with NY Dept. of State on 2/7/19. Office location: NY County. Princ. bus. addr. : 800 Hingham St., Ste. 2025-3, Rockland, MA 02370. LLC formed in DE on 12/12/18. NY Sec. of State designated agent of LLC upon whom process against it may be served and shall mail process to: Cogency Global Inc., 10 E. 40th St., 10th Fl., NY, NY 10016. DE addr. of LLC: 1209 Orange St., Wilmington, DE 19801. Cert. of Form. filed with DE Sec. of State, 401 Federal St., Dover, DE 19901. Purpose: any lawful activity. Notice of Formation of BTTD, LLC. Arts. of Org. filed with Secy. of State of NY (SSNY) on 02/06/19. Office location: NY County. SSNY designated as agent of LLC upon whom process against it may be served. SSNY shall mail process to: c/o Julien Kabla, Prime Realty Luxury, 48 Wall St., 5th Fl., NY, NY 10043. Purpose: any lawful activities. Notice of Qualification of DANCING BROOMSTICK DEVELOPMENT LLC Appl. for Auth. filed with Secy. of State of NY (SSNY) on 02/07/19. Office location: NY County. LLC formed in Delaware (DE) on 12/12/18. SSNY designated as agent of LLC upon whom process against it may be served. SSNY shall mail process to c/o Corporation Service Co. (CSC), 80 State St., Albany, NY 12207-2543. DE addr. of LLC: c/o CSC, 251 Little Falls Dr., Wilmington, DE 19808-1674. Cert. of Form. filed with DE Secy. of State, John G. Townsend Bldg., 401 Federal St. - Ste. 4, Dover, DE 19901. Purpose: Any lawful activity. Notice of Qualification of MSGN ENTERPRISES, LLC Appl. for Auth. filed with Secy. of State of NY (SSNY) on 02/07/19. Office location: NY County. LLC formed in Delaware (DE) on 12/10/18. Princ. office of LLC: Two Pennsylvania Plaza, 19th Fl., NY, NY 10121-0091. SSNY designated as agent of LLC upon whom process against it may be served. SSNY shall mail process to c/o Corporation Service Co. (CSC), 80 State St., Albany, NY 12207-2543. DE addr. of LLC: c/o CSC, 251 Little Falls Dr., Wilmington, DE 19808. Cert. of Form. filed with Secy. of State of DE, 401 Federal St., Dover, DE 19901. Purpose: Any lawful activity. Notice of Qualification of BDG Design LLC. Authority filed with NY Dept. of State on 2/12/19. Office location: NY County. Princ. bus. addr. : 100 Park Ave., 4th Fl., NY, NY 10017. LLC formed in DE on 2/8/19. NY Sec. of State designated agent of LLC upon whom process against it may be served and shall mail process to: c/o WPP, 1740 Broadway, NY, NY 10019. DE addr. of LLC: 3411 Silverside Rd., Tatnall Bldg. #104, Wilmington, DE 19810. Cert. of Form. filed with DE Sec. of State, 401 Federal St., Dover, DE 19901. Purpose: all lawful purposes. Notice of Qualification of CHESHIRE CAT DEVELOPMENT LLC Appl. for Auth. filed with Secy. of State of NY (SSNY) on 02/07/19. Office location: NY County. LLC formed in Delaware (DE) on 12/12/18. SSNY designated as agent of LLC upon whom process against it may be served. SSNY shall mail process to c/o Corporation Service Co. (CSC), 80 State St., Albany, NY 12207-2543. DE addr. of LLC: c/o CSC, 251 Little Falls Dr., Wilmington, DE 19808-1674. Cert. of Form. filed with DE Secy. of State, John G. Townsend Bldg., 401 Federal St. - Ste. 4, Dover, DE 19901. Purpose: Any lawful activity. PUBLIC AUCTION Supreme Court of New York, KINGS County. WILMINGTON TRUST, NATIONAL ASSOCIATION, NOT IN ITS INDIVIDUAL CAPACITY, BUT SOLELY AS TRUSTEE FOR MFRA TRUST 2014-2, Plaintiff, -against- LEYLA DAVIS; NEW YORK CITY ENVIRONMENTAL CONTROL BOARD; KAYLIE JOHNSON; KYANNE JOHNSON; ANSIL JOHNSON; KAREN LIVERPOOL; AUDREY LIVERPOOL; VANESSA SIMPSON; LEO COLON; JESSICA CRUZ, Index No. 512846/2016. Pursuant to a Judgment of Foreclosure and Sale duly dated, January 9, 2019 and entered with the Kings County Clerk on January 18, 2019, Steven Z. Naiman, Esq., the Appointed Referee, will sell the premises known as 203 Cornelia Street, Brooklyn, New York 11221 at public auction in Room 224 of the Kings County Supreme Court, 360 Adams Street, Brooklyn, New York 11201, on April 11, 2019 at 2:30 P.M. All that certain plot, piece or parcel of land, situate, lying and being in the Borough of Brooklyn, County of Kings, City and State of New York known as Block: 3376; Lot: 54 will be sold subject to the provisions of filed Judgment, Index No. 512846/2016. The approximate amount of judgment is $891,323.70 plus interest and costs. FRIEDMAN VARTOLO LLP 85 Broad Street, Suite 501, New York, New York 10004, Attorneys for Plaintiff. A.D. Advisory, LLC filed Arts. of Org. with the Sect’y of State of NY (SSNY) on 2/22/19. Office: NY County. SSNY has been designated as agent of the LLC upon whom process against it may be served and shall mail process to: c/o The LLC, 199 Main St., 5th Fl., White Plains, NY 10601. Purpose: any lawful act. One Dragon LLC Arts of Org filed with NY Sec of State (SSNY) on 1/29/19. Office: New York County. SSNY designated as agent of LLC upon whom process may be served. SSNY shall mail process to: 1270 Broadway, #709, NY, NY 10001. General Purposes. PARTY REQUIRED, LLC, filed with SSNY 2/24/2019. Office located in Westchester Co. SSNY has been designated as agent upon whom process against LLC may be served. SSNY shall mail a copy of any process to: PARTY REQUIRED, LLC. 941 Mclean Ave, #507, Yonkers, NY 10704. Purpose: any lawful business activity. Notice of Qualification of TWO SIGMA MERCURY FUND, LP Appl. for Auth. filed with Secy. of State of NY (SSNY) on 02/27/19. Office location: NY County. LP formed in Delaware (DE) on 02/20/19. Duration of LP is Perpetual. SSNY designated as agent of LP upon whom process against it may be served. SSNY shall mail process to Two Sigma Principals, LLC, 100 Ave. of the Americas, 16th Fl., NY, NY 10013. Name and addr. of each general partner are available from SSNY. DE addr. of LP: Corporation Service Co., 251 Little Falls Dr., Wilmington, DE 19808. Cert. of LP filed with Secy. of State of the State of DE, Div. of Corps., 401 Federal St., #4, Dover, DE 19901. Purpose: Any lawful activity. T.I.P.P INVESTIGATIONS, LLC, Arts. of Org. filed with SSNY 08/23/2018. Office loc: New York County. SSNY has been designated as agent upon whom process against LLC may be served. SSNY shall mail process to: The LLC, Attn KELVIN GOODWIN, M.D., 99 WAL STREET SUITE 215, NEW YORK, NY 10005. Purpose: Any Lawful Purpose. Notice of Formation of 131 Apawamis LLC. Arts. of Org. filed with NY Dept. of State on 2/15/19. Office location: NY County. Sec. of State designated agent of LLC upon whom process against it may be served and shall mail process to: 1165 Fifth Ave., Apt. 15A, NY, NY 10029, principal business address. Purpose: any lawful activity. NOTICE OF FORMATION of limited liability company (LLC). Name: Vetinsure Insurance Services, LLC. Articles of Organization filed with Secretary of State of NY (SSNY) on 01/16/2019. Office location: Westchester County. SSNY designated as agent of LLC upon whom process against it may be served. SSNY shall mail copy of process to: THE LLC 2410 Hog Mountain Road Watkinsville, GA 30677. Purpose: any lawful purpose. NOTICE OF QUAL. of Sugar Hill Property Offshore Fund V 2019 Holdings, LLC. Auth. filed Sec’y of State (SSNY) 2/15/19. Off. Loc: NY Co. LLC org. in DE 2/11/19. SSNY desig. as agent of LLC upon whom proc. against it may be served. SSNY shall mail copy of proc. to 28 Liberty, New York, NY 10005. DE off. Addr. : 160 Greentree Dr., Ste 101, Dover, DE 19904. Cert of Form. on file: SSDE, Townsend Bldg., Dover, DE 19901. Purpose: any lawful activity Notice of Qualification of TWO SIGMA MERCURY MASTER FUND, LLC Appl. for Auth. filed with Secy. of State of NY (SSNY) on 02/27/19. Office location: NY County. LLC formed in Delaware (DE) on 02/20/19. SSNY designated as agent of LLC upon whom process against it may be served. SSNY shall mail process to the LLC, 100 Ave. of the Americas, 16th Fl., NY, NY 10013. DE addr. of LLC: Corporation Service Co., 251 Little Falls Dr., Wilmington, DE 19808. Cert. of Form. filed with Secy. of State of the State of DE, Div. of Corps., 401 Federal St., #4, Dover, DE 19901. Purpose: Any lawful activity. Notice of Qualification of 200 East 87th Street Company, LLC. Authority filed with NY Dept. of State on 2/28/19. Office location: NY County. LLC formed in DE on 2/20/19. NY Sec. of State designated agent of LLC upon whom process against it may be served and shall mail process to: 1290 Ave. of the Americas, NY, NY 10104, principal business address. DE address of LLC: 850 New Burton Rd., Ste. 201, Dover, DE 19904. Cert. of Form. filed with DE Sec. of State, 401 Federal St., Dover, DE 19901. Purpose: all lawful purposes. MiniaturizedLAB, LLC, Arts. of Org. filed with SSNY 4/18/2018. Office loc: NY County. SSNY has been designated as agent upon whom process against LLC may be served. SSNY shall mail process to: The LLC, 157 E 86th ST., STE 517, New York, NY 10028. Purpose: Any Lawful Purpose. Notice of Formation of Social Aces, LLC. Arts. of Org. filed with Secy. of State of NY (SSNY) on 02/15/19. Office location: NY County. SSNY designated as agent of LLC upon whom process against it may be served. SSNY shall mail process to: Dor Mizrahi, 100 West 26th St., Apt. 10F, NY, NY 10001. Purpose: any lawful activities. Notice of Qualification of Principium TMW LLC. Authority filed with Secy. of State of NY (SSNY) on 02/12/19. Office location: NY County. LLC formed in Delaware (DE) on 01/17/19. SSNY designated as agent of LLC upon whom process against it may be served. SSNY shall mail process to: c/o C T Corporation System, 28 Liberty St., NY, NY 10005, also the registered agent upon whom process may be served. Address to be maintained in DE: c/o The Corporation Trust Company, 1209 Orange St., Wilmington, DE 19801. Arts of Org. filed with the Secy. of State, 401 Federal St. - Ste. 4, Dover, DE 19901. Purpose: any lawful activities. NOTICE OF QUALIFICATION of Monique Morin Design, LLC. Authority filed with SSNY on 12/20/18. Office loc: NY County. LLC formed in OH on 4/17/15. SSNY designated agent upon whom process may be served and mailed to: 1675 York Ave, 7J, NY, NY 10128. Cert. of LLC filed with SSOH loc: 180 E. Broad St, Columbus, OH 43215. Purpose: Any Lawful activity. Notice of Formation of The NikEra Company, LLC. Art. Of Org. filed with SSNY on 03/04/3019. Office Location: Westchester County. SSNY designated as agent of the LLC upon whom process against it may be served. SSNY shall mail process to: The NikEra Company, LLC Attn: Nickesha Bailey, PO Box 994, Ossining, NY 10562. Purpose: any lawful purpose. Notice of Formation of ANTHELLO, LLC filed with SSNY on 2/4/19. Office: NY County. SSNY designated agent of LLC upon whom process against it may be served. SSNY shall mail copy of process to LLC: 160 E91st St Apt 5F NY NY 10128. Purpose: any lawful act or activity. Notice of Formation of BWC Consulting, LLC filed with SSNY on 1/10/2019. Office: NY County. SSNY designated agent of LLC upon whom process against it may be served. SSNY shall mail copy of process to LLC: United States Corporation Agents, Inc. 7014 13th Avenue Suite 202 Brooklyn, NY 11228. Purpose: any lawful act or activity. Notice of Formation of Just Go, LLC filed with SSNY on January 24, 2019. Office: NY County. SSNY designated agent of LLC upon whom process against it may be served. SSNY shall mail copy of process to LLC: 255 W 94th St, #16B, NY, NY 10025. Purpose: any lawful purpose. Notice of Qualification of KARTOS PREFERRED A FUND, LLC Appl. for Auth. filed with Secy. of State of NY (SSNY) on 03/01/19. Office location: NY County. LLC formed in Delaware (DE) on 01/31/18. Princ. office of LLC: 119 W. 72nd St., Ste. #299, NY, NY 10023. SSNY designated as agent of LLC upon whom process against it may be served. SSNY shall mail process to the LLC at the princ. office of the LLC. DE addr. of LLC: 1209 Orange St., Wilmington, DE 19801. Cert. of Form. filed with Secy. of State, 401 Federal St., Dover, DE 19901. Purpose: Any lawful activity. Notice of Hedy Hopping, LLC filed with SSNY on February 26, 2019. Office: NY County. SSNY designated agent of LLC upon whom process against it may be served. SSNY shall mail copy of process to LLC: 125 East 4th Street, #3, NY, NY 10003. Purpose: any lawful act or activity. Notice of Formation of AOP DOWNTOWN LLC Arts. of Org. filed with Secy. of State of NY (SSNY) on 02/08/19. Office location: NY County. Princ. office of LLC: 56 Leonard St., Unit P-54, NY, NY 10013. SSNY designated as agent of LLC upon whom process against it may be served. SSNY shall mail process to the LLC at the addr. of its princ. office. Purpose: Any lawful activity. 214G LLC. Arts. of Org. filed with the SSNY on 02/15/19. Office: Kings County. SSNY designated as agent of the LLC upon whom process against it may be served. SSNY shall mail copy of process to the LLC, c/o Garvey Schubert Barer, 100 Wall Street, 20th Floor, New York, NY 10005, ATTN: Alan A. Heller. Purpose: Any lawful purpose. EnTech & Liriano Engineers PLLC Arts. of Org. filed w/ SSNY 1/29/19. Off. in NY Co. SSNY desig. as agt. of PLLC whom process may be served. SSNY shall mail process to the PLLC, 17 State St, 36th Fl, NY, NY 10004. Purpose: any lawful activity. RMSF, LLC Arts. of Org. filed with SSNY 03/18/19. Office loc: Westchester County. SSNY has been designated as agent upon whom process against LLC may be served. SSNY shall mail process to: The LLC, Attn: Sam Foreste., 24216 Floral Park, NY 11001 Purpose: Any Lawful Purpose. NOTICE OF QUAL. of 269 West 7C LLC. Auth. filed Sec’y of State (SSNY) 2/21/19. Off. Loc: NY Co. LLC org. in DE 6/5/18. SSNY desig. as agent of LLC upon whom proc. against it may be served. SSNY shall mail copy of proc. to NRAI, 28 Liberty St., New York, NY 10005, the Reg. Agt upon whom proc. may be served. DE off. Addr. : 160 Greentree Dr., Ste 101, Dover, DE 19904. Cert of Form. on file: SSDE, Townsend Bldg., Dover, DE 19901. Purpose: any lawful activity. Notice of Auction Notice of Auction Sale is herein given that Citiwide Self Storage located at 45-55 Pearson Street, Long Island City, N.Y. 11101 will take place on WWW.STORAGETREASURES.COM Sale by competitive bidding starting on April 5th, 2019 and end on April 18th, 2019 at 10:00 a.m. to satisfy unpaid rent and charges on the following accounts: Contents of rooms generally contain miscellaneous items. #9P31 – Linda Calderon : 1 – dresser, 3 – suitcases, 3 – duffle bags, 1- chest of drawer, 8 – bags, 20 – boxes, 1 – night stand, bed rails. #9P01A – Twisted Liar: Tri Pods, 1 – computer chair, 3- sewing machines, paintings, 10 – boxes, suitcase, stool, chest of drawer, ironing board, bags. #6R41 – Thomas Pieper: 3- wardrobe boxes, 16 – mix boxes, soccer goals, foot spa, bags. The contents of each unit will be sold as a lot and all items must be removed from the premises within 72 hours. Owners may redeem their goods by paying all rent and charges due at any time before the sale. All sales are held “with reserve”. Owner reserves the right to cancel sale at any time. CLEVENGER PROPERTIES, LLC, Arts. of Org. filed with the SSNY on 12/14/2018. Office loc: NY County. SSNY has been designated as agent upon whom process against the LLC may be served. SSNY shall mail process to: Keith Bloomfield, Forbes Family Trust, 767 5th Ave., 6 FL, NY, NY 10153. Purpose: Any Lawful Purpose. Notice of Formation of RANDYE F. BERNFELD LLC filed with SSNY on March 15, 2019. Office: Bronx County. SSNY designated agent of LLC upon whom process against it may be served. SSNY shall mail a copy of process to LLC: 3671 Hudson Manor Terrace, 14J, Bronx, NY 10463. Purpose: any lawful act or activity. Notice of Qualification of ACREFI HOLDINGS DB MEMBER, LLC Appl. for Auth. filed with Secy. of State of NY (SSNY) on 03/12/19. Office location: NY County. LLC formed in Delaware (DE) on 09/16/16. Princ. office of LLC: c/o Apollo Global Management, LLC, 9 W. 57th St., 43rd Fl., NY, NY 10019. SSNY designated as agent of LLC upon whom process against it may be served. SSNY shall mail process to c/o Corporation Service Co., 80 State St., Albany, NY 12207-2543. DE addr. of LLC: 251 Little Falls Dr., Wilmington, DE 19808. Cert. of Form. filed with Secy. of State, 401 Federal St., Ste. 4, Dover, DE 19901. Purpose: Entity is the seller SPV for a master repurchase facility. LEGALNOTICES@ CITYANDSTATENY.COM 2001 Story Tower A LLC. Authority filed SSNY 03/08/19. Office: NY Co. LLC formed DE 03/08/19. Exists in DE: c/o National Registered Agents, Inc., 160 Greentree Dr. Ste. 101, Dover, DE 19904. SSNY designated agent upon whom process against the LLC may be served & mail to 1 State St., 32nd Fl., NY, NY 10004. Cert of Formation Filed: SOS, Corporation Dept., 401 Federal St., Ste. 4, Dover, DE 19901. General Purpose. Eunique LLC. Filed w/ SSNY on 3/4/19. Office: New York Co. SSNY designated as agent for process & shall mail to: c/o Peter S. Jeon, Esq., 16 W 32nd St, #305, NY, NY 10001. Purpose: any lawful. Beats By Danny LLC. Art. of Org. filed with the SSNY on 03/01/2019. Office: Westchester County. SSNY designated as agent of the LLC upon whom process against it may be served. SSNY shall mail copy of process to the LLC, 7014 13th Avenue, Suite 202, Brooklyn, NY 11228. Purpose: Any lawful purpose. Notice of Formation of T2 Capital LLC filed with SSNY on March 11, 2019. Office: Westchester County. SSNY designated agent of LLC upon whom process against it may be served. SSNY shall mail copy of process to LLC: 24 Heathcote Road, Scarsdale NY 10583. Purpose: any lawful act or activity. Notice of Qualification of CRAIG DRILL CAPITAL VC II, LP Appl. for Auth. filed with Secy. of State of NY (SSNY) on 02/13/19. Office location: NY County. LP formed in Delaware (DE) on 02/08/19. Princ. office of LP: Attn: Jason Martin, 724 Fifth Ave., 9th Fl., NY, NY 10019. Duration of LP is Perpetual. SSNY designated as agent of LP upon whom process against it may be served. SSNY shall mail process to c/o Craig Drill VC II, LLC at the princ. office of the LP. Name and addr. of each general partner are available from SSNY. DE addr. of LP: c/o Corporation Service Co., 251 Little Falls Dr., Wilmington, DE 19808. Cert. of LP filed with Secy. of State of the State of DE, Div. of Corps., John G. Townsend Bldg., Federal & Duke of York Sts., Dover, DE 19901. Purpose: Any lawful activity. Notice of Qualification of 241E 73st LLC. Authority filed with Secy. of State of NY (SSNY) on 02/08/19. Office location: NY County. LLC formed in Delaware (DE) on 11/26/18. SSNY designated as agent of LLC upon whom process against it may be served. SSNY shall mail process to: c/o Joseph M. Taube, Taube Management Realty, LLC, 750 Third Ave., 9th Fl., NY, NY 10017. Address to be maintained in DE: Corporation Service Company, 251 Little Falls Dr., Wilmington, DE 19808. Arts of Org. filed with the DE Secy. of State, Division of Corporations, John G. Townsend Bldg, 401 Federal St., Ste. 4, Dover, DE 19901. Purpose: any lawful activities. Notice of Qualification of SEPTUAGINT SOLUTIONS LLC Appl. for Auth. filed with Secy. of State of NY (SSNY) on 03/13/19. Office location: NY County. LLC formed in Delaware (DE) on 02/14/19. SSNY designated as agent of LLC upon whom process against it may be served. SSNY shall mail process to c/o Stroock & Stroock & Lavan LLP, Attn: Shawn Bannister, 180 Maiden Ln., 35th Fl., NY, NY 10038. DE addr. of LLC: c/o Corporation Service Co., 251 Little Falls Dr., Wilmington, DE 19808. Cert. of Form. filed with Secy. of State of the State of DE, Div. of Corps., John G. Townsend Bldg., 401 Federal St. - Ste. 4, Dover, DE 19901. Purpose: Any lawful activity. Carlo Vernia, LLC, filed with SSNY 03/20/2019. Office loc: 93Donald Dr., New Rochelle NY 10804 Westchester County. SSNY has been designated as agent upon whom process against LLC may be served. SSNY shall mail process to: The LLC, Attn: Hiedi Vernia, 700 S. Columbus Ave, 2nd Fl., Mt. Vernon NY 10550 Purpose: Any Lawful Purpose. MBL MET LLC Art. Of Org. Filed Sec. of State of NY 3/15/2019. Off. Loc. : New York Co. SSNY designated as agent upon whom process against it may be served. SSNY to mail copy of process to The LLC, c/o New Aim Realty, PO Box 933, Englewood Cliffs, NJ 07632. Purpose: Any lawful act or activity. Cellco Partnership and its controlled affiliates doing business as Verizon Wireless (Verizon Wireless) proposes to collocate wireless communications antennas at two locations. Antennas will be installed at a top height of 83 feet on a building with an overall height of 83 feet at the approx. vicinity of 1050 Carroll Place, Bronx, Bronx County, NY 10456. Antennas will be installed at a top height of 55 feet on a building with an overall height of 55 feet at the approx. vicinity of 49 ½ 1st street, New York, NY 10003. Public comments regarding potential effects from these sites on historic properties may be submitted within 30 days from the date of this publication to: Trileaf Corp, Elsie, e.boone@ trileaf.com, 8600 LaSalle Rd, Suite 301, Towson, MD, 21286, 410-853-7128. LEGALNOTICES@ CITYANDSTATENY.COM One Woman Destined for Success, LLC, Arts. of Org. filed with SSNY 12/17/2018. Office loc: Kings County. SSNY has been designated as agent upon whom process against LLC may be served. SSNY shall mail process to: The LLC, Attn: Natasha Davis, 200 East 51st Street, Brooklyn, NY 11203. Purpose: Any Lawful Purpose. Notice of Formation of MERMAN USA, LLC. Arts. of Org. filed with Secy. of State of NY (SSNY) on 09/18/18. Office location: NY County. SSNY designated as agent of LLC upon whom process against it may be served. SSNY shall mail process to: Kira Carstensen, 6300 Wilshire Blvd., Ste. 1460, Los Angeles, CA 90048. Purpose: any lawful activities. Notice is hereby given that a license, serial number is pending, for beer, wine, and liquor has been applied for by Homestyle Caterers & Food Services, LLC dba Homestyle Grill at Sprain to sell beer, wine, and liquor at retail at a Tavern under the Alcoholic Beverage Control Law at 290 Grassy Sprain Road, Yonkers, New York 10710 in Westchester County for on-premise consumption. Homestyle Caterers & Food Services, LLC dba Homestyle Grill at Sprain NOTICE OF FORMATION of NYCHA Hope Gardens LLC. Art. of Org. filed with NY Secy. of State (SSNY) on 2/27/19. Office location: NY County. SSNY designated as agent of LLC upon whom process against it may be served. SSNY shall mail process to c/o NY City Housing Authority, Gen. Counsel, Law Dept., 250 Broadway, 9th Fl, NY, NY 10007. Purpose: All lawful purposes. NOTICE OF FORMATION OF PWH Advisors LLC. Arts of Org filed with Secy of State of NY (SSNY) 05/18/2018. Office loc: NY County. SSNY designated as agent upon whom process against it may be served. SSNY shall mail a copy of any process against the LLC to princ bus addr: 1740 Broadway, FL 15, NY, NY 10019. Purpose: any lawful act or activity. LEGALNOTICES@ CITYANDSTATENY.COM FEARLESS GROWTH, LLC, filed with SSNY 02/08/2019. Office loc: Westchester County. LegalZoom.com, Inc. has been designated as agent upon whom process against LLC may be served. SSNY shall mail process to: The LLC, Attn: Nelo Phiri, 100 Touissant ave, Yonkers, NY 10710. Purpose: Any Lawful Purpose. SprintCom, Inc. (SPRINT) proposes to install antennas and equipment on the existing buildings in New York: 2306 S Salina St in Syracuse, Onondaga County (Job #37203) and 100 Beck St in Buffalo, Erie County (Job #37297). Cellco Partnership and its controlled affiliates doing business as Verizon Wireless (Verizon Wireless) proposes to collocate wireless communications antennas at three locations. Antennas will be installed at a top height of 58 feet on a building with an overall height of 80 feet at the approx. vicinity of 540 President Street, Brooklyn, Kings County, NY 11215. Antennas will be installed at a top height of 77 feet on a building with an overall height of 79 feet at the approx. vicinity of 56 Macdougal Street, New York, New York County, NY 10012. Antennas will be installed at a top height of 75 feet on a building with an overall height of 83 feet at the approx. vicinity of 119-121 St. Marks Place & 131 Avenue A, New York, New York County, NY 10009. Public comments regarding potential effects from these sites on historic properties may be submitted within 30 days from the date of this publication to: Trileaf Corp, Theresa, t.docal@ trileaf.com, 8600 LaSalle Rd, Suite 301, Towson, MD, 21286, 410-8537128. In accordance with the National Historic Preservation Act of 1966 and the 2005 Nationwide Programmatic Agreement, SPRINT is hereby notifying the public of the proposed undertaking and soliciting comments on Historic Properties which may be affected by the proposed undertaking. If you would like to provide specific information regarding potential effects that the proposed undertaking might have to properties that are listed on or eligible for listing in the National Register of Historic Places and located within 1/2 mile of the sites, please submit the comments (with project number) to: RAMAKER, Contractor for SPRINT, 855 Community Dr, Sauk City, WI 53583 or via e-mail to history@ ramaker.com within 30 days of this notice. AKAMAI ATHLETICS LLC, Arts. of Org. filed with the SSNY on 01/28/2019. Office loc: NY County. SSNY has been designated as agent upon whom process against the LLC may be served. SSNY shall mail process to: Sara Bryant-Gardiner, 205 E 22nd St. Apt 3B, NY, NY 10010. Reg Agent: Sara Bryant-Gardiner, 205 E 22nd St. Apt 3B, NY, NY 10010. Purpose: Any Lawful Purpose. NOTICE OF FORMATION OF OH-SO EQUAL, LLC. filed with Secy of State of NY (SSNY) on 01/02/2019. Office location: Westchester. SSNY has been designated as agent of LLC upon whom process against LLC SSNY shall mailed process to OH-SO EQUAL to: 11 High Meadows Rd, Mount Kisco, NY. 10549 Purpose: Any lawful acts. Notice of Qualification of RGN-WHITE PLAINS II, LLC Appl. for Auth. filed with Secy. of State of NY (SSNY) on 03/18/19. Office location: NY County. LLC formed in Delaware (DE) on 03/14/19. SSNY designated as agent of LLC upon whom process against it may be served. SSNY shall mail process to c/o Corporation Service Co., 80 State St., Albany, NY 12207-2543. DE addr. of LLC: 251 Little Falls Dr., Wilmington, DE 19808. Cert. of Form. filed with Secy. of State, 401 Federal St., Ste. 4, Dover, DE 19901. Purpose: Any lawful activity. EARTHYSOUL LLC. filed with SSNY 2/19/19. Office: NY County. SSNY has been designated as agent upon whom process against LLC may be served.Mail copy of process to LLC: Attn: Mustafa Kolukisa, 1755 East 13th Street, Apt. F5, Brooklyn, NY 11229 Purpose: Any Lawful Purpose. 133 WEST 118 ST LLC. Arts. of Org. filed with the SSNY on 02/11/19. Office: New York County. SSNY designated as agent of the LLC upon whom process against it may be served. SSNY shall mail copy of process to the LLC, P.O. Box 4277, College Point, NY 11356. Purpose: Any lawful purpose. 210 WEST 137 ST. LLC. Arts. of Org. filed with the SSNY on 02/11/19. Office: New York County. SSNY designated as agent of the LLC upon whom process against it may be served. SSNY shall mail copy of process to the LLC, P.O. Box 4277, College Point, NY 11356. Purpose: Any lawful purpose. Notice is hereby given that a license, serial number 1316777 for On-Premises Liquor License has been applied for by Kumo Sushi Lounge II, Inc. to sell beer, liquor and/or wine at retail in a restaurant under the Alcoholic Beverage Control Law at 777 White Plains Road, Store No. 8, Scarsdale, NY 10583, Westchester County for on premises consumption. Kumo Sushi Lounge II, Inc. NOTICE IS HEREBY GIVEN THAT A LICENSE, SERIAL # 1317040 FOR LIQUOR, WINE, & BEER HAS BEEN APPLIED FOR BY THE UNDERSIGNED TO SELL LIQUOR, WINE, & BEER AT RETAIL UNDER THE ALCOHOLIC BEVERAGE CONTROL LAW AT 277 GRAHAM AVE BROOKLYN, NY 11211. KINGS COUNTY, FOR ON PREMISE CONSUMPTION. PUBLIC NOTICE Cellco Partnership and its controlled affiliates doing business as Verizon Wireless (Verizon Wireless) proposes the existing location modification of wireless communications antennas at two locations. Antennas will be installed at a top height of 75 feet on a building with an overall height of 78 feet at the approx. vicinity of 630 West 173rd Street, New York, NY 10106. Antennas will be installed at a top height of 78 feet on a building with an overall height of 86 feet at the approx. vicinity of 526 West 152nd Street, New York, New York County, NY 10031. Public comments regarding potential effects from these sites on historic properties may be submitted within 30 days from the date of this publication to: Trileaf Corp, Elsie, e.boone@ trileaf.com, 8600 LaSalle Rd, Suite 301, Towson, MD, 21286, 410-853-7128. PUBLIC NOTICE Cellco Partnership and its controlled affiliates doing business as Verizon Wireless (Verizon Wireless) proposes the existing location modification of wireless communications antennas at two locations. Antennas will be installed at a top height of 54 feet on a building with an overall height of 54 feet at the approx. vicinity of 132 9th Avenue, New York, New York County, NY 10011. Antennas will be installed at a top height of 84 and 86 feet on a building with an overall height of 86 feet at the approx. vicinity of 329-333 East 21st Street, New York, New York County, NY 10010. Public comments regarding potential effects from these sites on historic properties may be submitted within 30 days from the date of this publication to: Trileaf Corp, Elsie, e.boone@ trileaf. com, 8600 LaSalle Rd, Suite 301, Towson, MD, 21286, 410-853-7128. CHIRLANE MCCRAY New York City’s first lady Chirlane McCray has had a rough couple of weeks amid sharp scrutiny of her pricey ThriveNYC mental health initiative. But last week may take the cake as a particular low point, as McCray appeared before the City Council and was still unable to convince lawmakers that the program has achieved measurable results. McCray brushed off the criticism by saying “haters gonna hate,” but it’s not that easy to shake off an indignant City Council. In a shocking turn of events, this plaintiff got Tasers unbanned in New York. One mayor had New Yorkers cheering for a presidential run – it just wasn’t Hizzoner. De Blasio may be Big Bird, but he ain’t got nothing on the world’s tallest politician. This former SUNY admin lived the dream: eight months with pay after he resigned. The ex-SUNY official who made up his life story was charged with 2 felonies. No lie. Nearly two years later and all he got was a stupid four-page summary. The Albany DA is sour about Cuomo’s updated bill to watch the watchmen. If “Palestine does not exist,” the last 70 years were just a misunderstanding, right? WINNERS & LOSERS is published every Friday morning in City & State’s First Read email. Sign up for the email, cast your vote and see who won at cityandstateny.com. DONALD TRUMP Critics will have a harder time lambasting his “NO COLLUSION” tweets now that special counsel Robert Mueller has found no evidence that Trump or his campaign coordinated with the Russian interference efforts during the 2016 election – at least according Attorney General William Barr’s summary of Mueller’s findings. Democrats are still asking whether he illegally obstructed justice, but for now at least the president has a great Russian weight lifted off his shoulders. When the pied-a-terre tax was gaining steam, its critics cried, no! If you do this, it’ll stop oligarchs and Saudi princes from buying up city housing for their twice-ayear jaunts! Or God forbid, they’ll stop buying apartments for their dogs! Think of the puppies! But fear not, the plan was reportedly replaced. For more on who gets a room with a view – and who gets to keep using the poor door – read on! All the units include features for, and Glenwood provides reasonable accommodations to, persons with disabilities, as required by FHA.